Every year Papilio comes up with exclusive evening fashion designs. The 2018 evening fashion collection showcases an infusion of classic and modern styles. 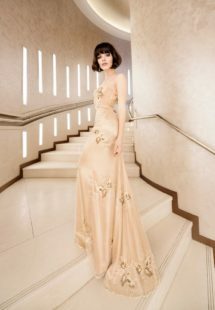 Evening gowns from this collection are classy, elegant, feminine, and at the same time stylish, fashionable and lavish. The Posh collection is sure to sweep you off your feet! While browsing our new collection you may have noticed that colors are stronger, fabrics are more extraordinary, and styles are truly eccentric. The line embodies a fashion-forward woman. Our designers take it one step further to bring true one-of-a-kind look and indulge the company’s motto ‘be different, be unique, be you.’ Not to mention that all Papilio collections are made in Europe. We use only premium materials with beautiful handmade décor, delicate embroidery, and exquisite beading. Our goal is to create distinctive evening gowns and epitomize the modern “vogue” woman. One of the emerging evening fashion trends in 2018 will be the psycho-tropical style. This trend is going to breakthrough in the next couple of years. Being a subcategory of the psychedelic movement, the trend is defined by vibrant palettes, nature motifs, and tropical patterns. You will see a lot of creamy hues, deep blues, forest greens, and flower prints available in this collection. For example, style #314 exhibits this trend beautifully with the original floral pattern that looks super chic and fashionable. At the same time, our designers offer styles in high pastel tones and solid darker colors. 2018 evening fashion trends are dictated using neutrals and dark colors in their pastel alternatives. Evening gowns in these colors will look amazing with statement accessories or shoes. For example, style #324 is a sophisticated neutral that can be enriched with a bright accent your heart desires. Another big 2018 evening fashion trend is called Nocturne. It means night scene, which is what evening fashion is all about. Some of the nocturnal colors offered in this collection are grays, blues, and purples. Style #316 is a gorgeous V-neck evening gown enhanced with intricate beading, for an ultra-feminine and classy appearance. The flowing layers of tulle are intriguing and attractive. 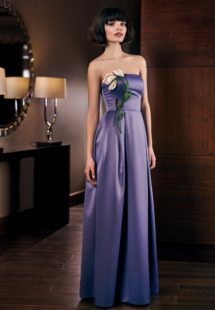 Another example is style #300, an eye-catching dark purple gown. Strapless, silky and sultry – this evening dress will be perfect for your special night out! Papilio designers took into consideration the emerging 2018 evening fashion trends but added the European twist. 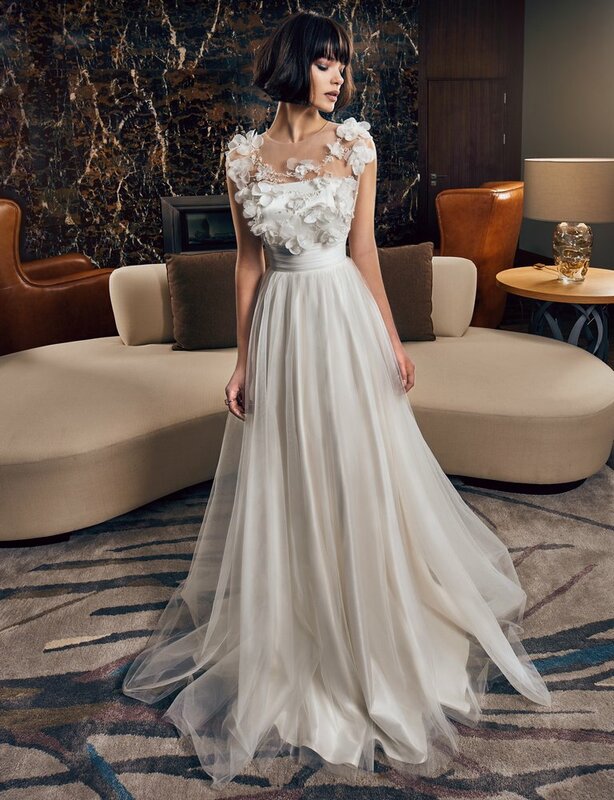 If you are shopping for evening gowns in Toronto, whether it is a prom dress, wedding guest dress or special occasion dress – 2018 evening fashion collection is guaranteed to have a dress you will feel beautiful and confident! And remember to Be different, be unique, be you!